Having really enjoyed the first two books in this series I was eager to read the third book. I don’t know what happened, but I didn’t enjoy this book as much as the first two books. Don’t get me wrong it is a well written book and has a lot of the same aspects as the first two books, but I don’t know, something was missing. Maybe I just got into a reading slump or something, but this book seemed to take me ages to read. And it wasn’t that I didn’t enjoy it, I did, but when I put it down I had no urge to pick it up and keep reading. I just didn’t feel quite invested in the story or caring about what happened next. I think what was missing for me was the suspense. I went in expecting a romantic suspense, like the first two books, but it is much more a contemporary romance. Yes there is a hint of danger with how River his brother is part of the IRA, an Ireland based terrorist organization, but they didn’t really focus on it. And River his connection with that only was in the past. So there is the connection with crime, but it just didn’t feel as intense and suspenseful as in the first two books. I think that’s my mistake, expecting the same as the first two books and when the suspense element wasn’t as important here I just felt a bit disappointed. I think it would’ve been better if I went in knowing the focus was more on the romance and less on the suspense. 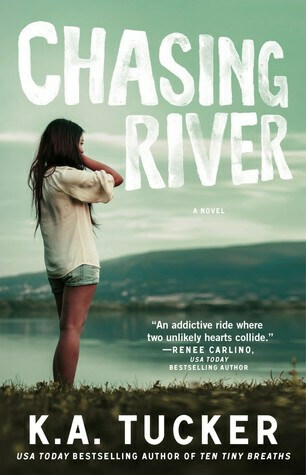 Chasing River follows Amber who is travelling around the world. In Ireland she almost get’s killed by a bomb, but a mysterious stranger saves her live and then takes off, before she can properly thank him. After that she’s determined to find him and thanks him. Once they meet again they make a connection that slowly blooms into a romance. I liked Amber in Burying Water and was excited for her book, but now that we actually got her point of view it just felt lacking somehow. Amber is the stereotypical good girl, her father is the sheriff and she always follows the rules, but now when she’s out travelling the world she discovers another side of herself. I liked Amber, although she could be a bit quick to judge at times, we know where she comes from and why she is that way. I liked seeing her change and open up in this book and become a bit more doing things from the seat of her pants, instead of planning everything. Although when you consider she’s only in Ireland for a week it felt like things changed a bit too fast. Then there is River, his family was part of the IRA, but nowadays the IRA isn’t what it’s supposed to anymore. His brother still supports the IRA how it’s now, but it’s more a terrorist organization now. River isn’t happy with his brother choices, but he doesn’t really do anything about it either. I liked seeing him learn how solving things yourself wasn’t always the best thing and how sometimes it’s good to ask someone else for help or let someone else handle things I liked how he changed things thanks to Amber. Side character Ivy might have been my favourite part of this book. Amber get’s to know her a bit more and I really liked seeing them talk things through and then make this weird kind of friendship after years of disliking each other. I thought Ivy was an interesting character and I can’t wait to learn more about her in the next book. The romance fell a bit flat for me in this book. I did like River and Amber. It’s a classical bad boy and good girl romance and it was interesting to see two people who were so different fall in love. I just didn’t quite feel the spark and connection between them as in the previous books. I did like them, but I never really got invested in this book or the characters. That might just be me or the mood I read this book in. I don’t know. The Ireland setting was fun and it felt like the author knew what she were talking about. There is some background and history about Ireland, the Irish talk differently and there are some descriptions. While I couldn’t visualize everything as well as I hoped to I did learn a lot about Irish history and got a bit of a feel for country through this book, which was great. To summarize: I think I read this book at the wrong time or mood as I didn’t get as invested in the story as with the first two books. I felt that the suspense elements was more subtle and to the background and past than in the first two books and that was a bit disappointing. I liked Amber and River, but never really got invested in their story. It’s a typical good girl meets bad boy romance and it was nice to see two people who are so different fall in love with each other, but I just didn’t quite feel it. I did really like Ivy and I am glad we got to see more of her in this book and her appearances made me curious about the next book. I also liked the Irish history and learning more about the country. It was obvious the author did her research about the culture, language and history and it paid off. Although I would’ve liked to see more of Ireland and be able to visualize things better. So all in all this was a good book, but I just didn’t got as invested as in the first two books. When I put it down I didn’t have that urge to continue reading. 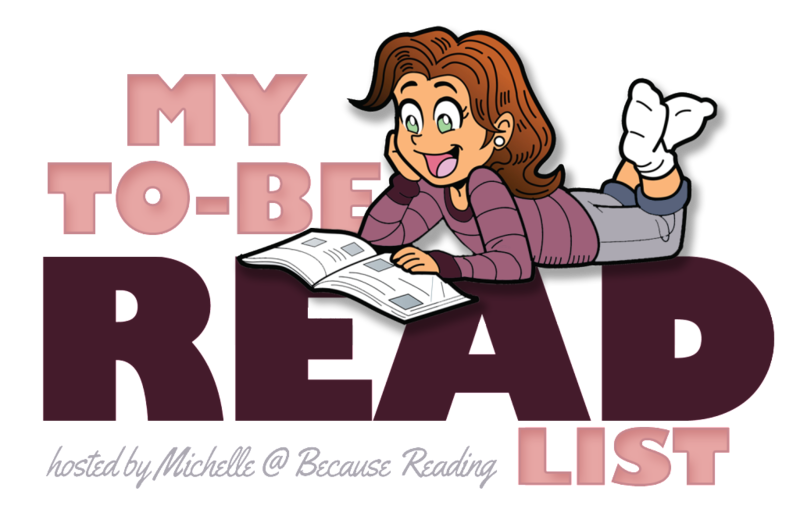 Have expectations of themes in a books ever caused you to enjoy a book less than expected? This happens to me a lot where I am into a series and then one installment comes along that just doesn’t do it for me. Great review. Yeah it seems to happen regulary that one of the books in a series just doesn’t quite work or is less than the other books. Sorry you didn’t really LOVE this one as much as the first two. It sounds like more suspense could have really helped. I do think you need to read certain books at certain times or they just don’t work sometimes. thanks for sharing! I expected the same amount of suspense as in the previous books and I think it just fell a bit flat for me because of that. It woudl be ncie to know the focus would be more on the romance than the suspense. Timing can really make a difference, it just felt like I wans’t in the mood for this book at the time. There have been a few books that I didn’t enjoy as much as I thought I would. It’s alway a shame when that happens. Sorry this wasn’t as good as you expected. This is a series that I really want to try. Hopefully, the next one will be better. The first two books were really good, so I am hoping the fourth book is just as good as those. I hope you will get around to giving this series a try! LOL! Sorry, I shouldn’t laugh, but I did because the same thing happened to me with this one. I got all excited and then it was missing the intensity of the others. Good, but not great. Book four goes back to that though the heroine takes some getting used to. I am so glad I am not the only one to whom this happened. It’s so weird too because after Burying Water I wans’t sure about book 2, but I was looking forward to book 3 and I really enjoyed book 2 and book 3 fell a bit flat. Yes it missed the intensity of the others. It was still a good book, but not great. I am glad to hear book 4 will be better again. I haven’t read anything by K.A. Tucker but I’ve been meaning too. I’m sorry this one didn’t quite live up to your expectations. So far I’ve really enjoyed her books, but I felt like this one was a little less good. The first two books in this series are great! I just felt like this one didn’t have as much suspense and wasn’t as fast paced due to that. I am hoping the next book will be better again.